It’s nevertheless not common that a crystal gazer sees ‘motion pictures’ of people taking part in symbolic activities. The inner eye only gets small, scattered glimpses of objects, as for example a skull, a shining sun or a heart pierced by an arrow with engraved initials. There are no set rules for how the different symbols should be interpreted. In other divinations, such as card reading and palm reading, there’s a row of rules of thumb that everyone can use. When it comes to crystal gazing, however, you have to use your intuition and interpret the symbols in accordance with your own feelings. The fact that these visions have to be interpreted intuitively means that crystal gazing and similar techniques are among the more unpredictable ways of divination. On one side they can occasionally lead to the most precise prophecies. In John Dee’s diaries it, for example, said that Dee’s crystal gazer, Edward Kelly, saw both the execution of Maria Stuart and the Spanish armada’s unsuccessful attempt to invade England long before these events happened. There’s a row of other examples of these kinds of visions of the future. A serious research report from the 1880’s, published by The Society for Psychical Research, confirms that a Mrs Bickford-Smith saw in the crystal ball that an old friend was going to die, which also happened a couple of days later. This research report also contains other well-documented cases. On the other side, crystal gazers may because of misinterpretations of symbols and wishful thinking utter prophecies that are completely wrong or very misleading. 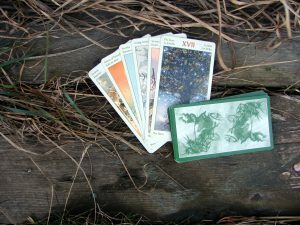 Divination methods that demand a high degree of intuitive interpretation from the seer’s side, is based on what’s called ‘unpredictable talent’. In other words that some people not only have greater ability in this area than others but that they who possess this ability, quite simply can be in or out of shape. A seer can be in shape one day, when even the most unlikely predictions come true, while he another day can be completely out of shape and for example tell a man who has been a bachelor all his life that he’s married and has a large family. 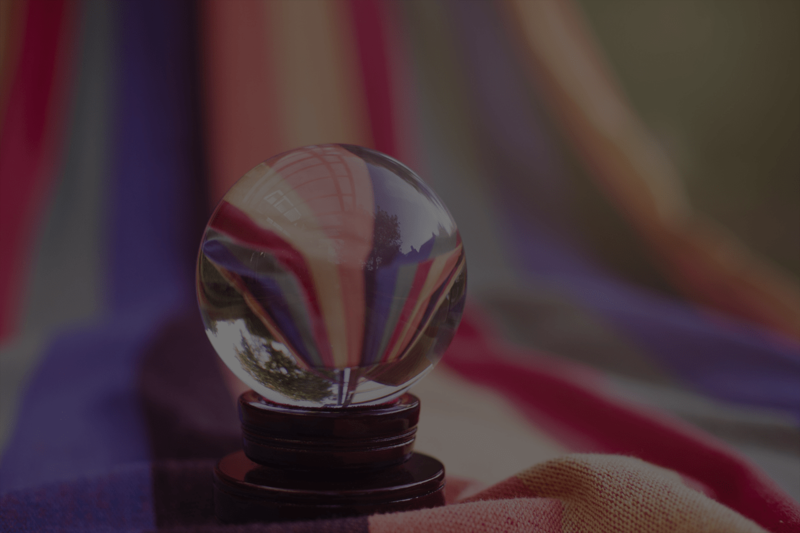 This unpredictability signifies all divination methods that are based on intuition, but it’s so prominent in connection with crystal gazing that it’s probably best to follow the rules. First, you shouldn’t read others than yourself until you’re completely sure that you have well developed intuitive abilities. And second, you should only read on the days you’re sure that you’re in shape. Scrying in a water glass, a water bowl, a crystal ball or another object that can contribute to liberating the mind, is, on the whole, a uncontrollable affair – the inner eye can see just about anything. These images can from time to time shed a light of explanation over important things that concern you or the person you’re reading, but they can also be totally uninformative.